Adobe photoshop CS6 - a program for processing raster graphics. Supports numerous graphic formats. adobe photoshop allows you to create new images and edit them. photoshop used to create photorealistic images to work with color scanned images, retouching, color correction, transformation of graphs, color separation, etc. adobe photoshop has all the methods of working with bitmaps, in this case is to work with layers and uses contours. The program is the undisputed leader among professional graphic editors due to its widest possibilities, high efficiency and speed. adobe photoshop provides all the necessary tools for correction, editing, preparing images for printing and high quality output. «Smart Object» become even smarter. Thanks to "infinitely" scalable vectors based on a new photoshop image pixels is able to perform operations such as deformation, interpolation, canvas rotation, 3D-manipulation, etc. + Check the installation of Photoshop, and he finds a way, we can only press the "Install". 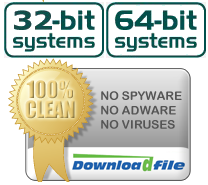 + Universal installer for x64 and x32 bit system. + Backs up files, deleting through the "Control Panel" (as a normal program). - Replace one of the languages. و نستنى ثوانى .... بس كده البرنامج اتفعل ..